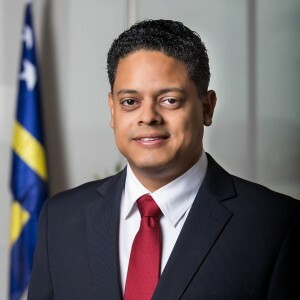 WILLEMSTAD – As the new Prime Minister, Eugene Rhuggenaath will be responsible for the continuation of the negotiations with the Chinese State Company Guangdong Zhenrong Energy (GZE) about the future of the oil refinery in Curaçao. The Prime Minister has the oil refinery as part of his portfolio. “For us, it is important to get answers to the questions, how can we materialize the agreements as soon as possible? I hope that in three to six months we can be ready with the plan to upgrade our refinery. Whether it is a new plant at Bullenbaai, or at the same location, we will make a prompt decision so we can get things going. This will mean more development at Bullenbaai,” said the new Prime Minister. The Prime Minister indicated that he had spoken with the stakeholders in the tourism sector and he told them that they have to work together to prepare the people for the tourism industry to be a success. Rhuggenaath hopes to be able to start executing this in three to six months, maximum nine months.